Karleen Gribble and Julie Smith write: Alongside this week’s announcement of a free trade deal between China and Australia came reports of Gina Rinehart’s investment in a Queensland dairy operation to supply infant formula to China. Australia’s richest woman built her fortune on iron ore, but Rinehart’s A$500 million investment makes her a major player in Australian milk formula exports. 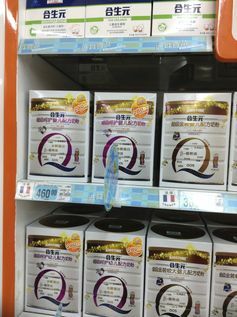 Infant formula sales in China have increased more than ten-fold over the last decade and will double again in the next […] three years, according to Euromonitor. As foreign-produced infant formula can sell for close to A$100 a tin, investors have been scrambling to get a share of the predicted “white gold rush”. But why the boom? Commentators point to relaxation of China’s one-child policy, the melamine poisoning scandal in 2008 and the rising affluence of a growing middle class. But the often hidden truth is that escalating formula sales are driven by a lack of access to maternity leave and the unethical – even corrupt – marketing of infant formula through the maternity care system. Although maternity leave is available on paper in China, in practice many new mothers cannot get it. Separation of mother and baby, because of unaccommodating workplaces or employment arrangements, can necessitate formula feeding. Aggressive marketing of infant formula is also a key factor. Recent research identified that 40% of new mothers in China were contacted directly by infant formula sales staff after the birth of their babies and given samples of formula. Sales representatives walk the halls of hospitals to find mothers and recruit doctors and midwives as salespeople. Formula is heavily marketed in China and comes with a hefty price tag. Advertising exploits the desire of families to promote the prospects of their child. With many babies now an only child of only children, four grandparents plus two parents may believe the future of their family depends on the success of this one precious baby. So marketing that promotes infant formula products (falsely) as enhancing brain development and ensuring academic success has real traction. Regulatory capacity and social protection policies are lagging behind the emerging needs of the population, especially women, due to extraordinarily rapid economic development. Comparing China with India, a country also experiencing rapid development and urbanisation, an industry report by Euromonitor observed that “the huge disparity in the retail value of milk formula sales between China and India is mainly due to the significant differences between their official regulatory regimes”. The consequences of “white gold mining” are threefold: for public health, the economy, and women’s rights. Most important are the effects of a precipitous decline in exclusive breastfeeding from over 60% to less than 30% over the past decade. Formula feeding increases infection risk. Some assume this is a result of dirty water, but in fact the formula itself helps to facilitate and maintain infection. Even in highly developed countries, babies that are fully formula fed are three to five times more likely to be hospitalised with infections than their fully breastfed counterparts. Higher rates of formula feeding mean that overburdened Chinese hospitals face higher costs to treat more seriously ill babies and young children. And infant lives are at stake: diarrhoea and respiratory tract infections are responsible for more than half of all infant deaths in China. Formula feeding is also implicated in other high-cost health problems, such as obesity. The economy suffers from declining breastfeeding. Breast milk has economic value. In Australia, the value of current human milk production levels exceeds A$3 billion a year. In China, Chinese mothers produced about 2.3 billion litres of breast milk in 2012; if all Chinese mothers breastfed in line with WHO recommendations, the country’s annual production value would be US$778 billion, nearly US$530 billion a year higher. However, the economic value of human milk is presently uncounted in economic statistics. Like other unpaid work that women do, it is invisible and therefore taken for granted by policymakers. Its value is rarely acknowledged, or protected. Indeed, when formula feeding increases, and breastfeeding declines, measured GDP is seen to go up. Nonetheless, through the provision of high-quality food and preventative health care to infants, breast milk contributes to economic production. So, the third consequence is that by expanding sales of formula, governments can avoid addressing the needs and human rights of women and children in China. This includes mothers who need to combine paid employment and a career with their role as mothers, such as by breastfeeding. Underfunded and poor-quality maternity care can continue unaddressed. There is much rhetoric about the benefits to Australia of the latest trade agreement, but this particular dairy milk boom is far from costless. It raises questions such as who is profiting from this “white gold boom” and who pays its costs? Does Australia not have a duty of care for selling formula to China’s mothers and babies? And will the Australian government take responsibility for ensuring that Australian companies do not unethically exploit the regulatory weaknesses of our neighbours in Asia? * Julie Smith is Research Fellow at the Australian National University. She has received funding from the Australian Research Council and the National Health and Medical Research Council. * Karleen Gribble is Adjunct Research Fellow at the University of Western Sydney’s School of Nursing.